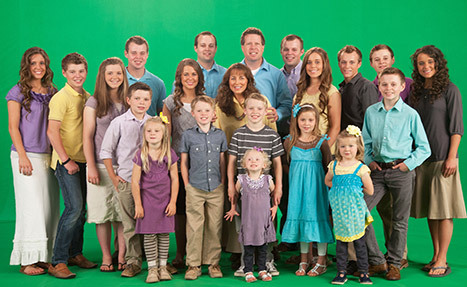 Jim Bob and Michelle Duggar will speak to Fox's Megyn Kelly tonight. Hunter Frederick of Frederick & Associates is both a well-known celebrity publicist/crisis comms advisor and a self-described Christian who specializes in clients who share his faith. Despite rumors to the contrary, he and his firm “are in no way affiliated with the [Duggar] family, the show, or the network nor have we ever advised them.” He even told Christianity Today that he declined to represent the Duggars when they reached out to him. We would like to add that those that share their same beliefs are not so forgiving of the many reporters who continue to cover the story. See, for example, some of the more verbose hate mail sent to Gawker’s Allie Jones in recent days. Frederick argues that, rather than retreating from the public eye and posting a statement on Facebook, Josh Duggar should have conducted “a live interview or even live-to-tape interview…out of the gate.” He calls Duggar’s apology “weak,” and The Washington Post faith reporter Joel J. Miller agrees, labeling it “disturbing” in its self-interest. Like much of the Western world, Frederick is very interested in tonight’s interview. We will go out on a limb and predict that the Duggars’ apologies will please very few critics…and that prominent politicians and others associated with them will continue to plead ignorance.